I Stumbled Into an “Intentional Community.” Here’s What I Found. I’m twenty six years old, and I have never lived alone. I grew up in boarding schools and community centers, and when I left home for college overseas, I found myself jumping from one shared living arrangement to the next. I admit, part of me wanted to save money, but also, I didn’t want to be all by myself. Well, these past two years, my housing situation has been quite different, but not in the way I expected: For the first time in my life, I shared a house with friends who happened to share my own social and environmental concerns. It felt more possible (if not, more hopeful) to live sustainably, in the face of overwhelming scientific and economic realities. Together, we recycled, carpooled when we could, repurposed old shirts as napkins, split a CSA box, started a compost, and even tried our hand at square foot gardening. We joked about calling our house “the green-house” and one day starting our own tiny house community. My handyman housemate even started drawing up plans for a tiny house. I’d serendipitously fallen into an accidental intentional community. You’ve probably heard these terms floating around—intentional community, ecovillage, commune, housing cooperatives—but what do they mean? What exactly is an intentional community anyway? For starters, it’s not just a commune or a hippie house. The FIC directory lists 1,759 forming and established intentional communities spread across every American state and Puerto Rico. Turns out, I live near a few. So, with my roommate in tow, I checked out a cohousing community called Blueberry Hill Cohousing Community in Vienna, Virginia, a small, picturesque neighborhood nestled in an unlikely suburban spot: a short drive from the mega-mall, Tysons Corner, and bordered on one side by McMansions and a farm on the other. Cohousing is legally and financially identical to a condominium association—it’s a private home ownership collective, and they have a board of directors, no shared income, and no special tax breaks—except that residents actively participate in the planning of the community. Sure, some cohousing communities might also have mandatory resident meetings, shared meals, and chores, but every community does it differently. The day we visited Blueberry Hill, it was warm, humid, and Betsy, one of the original residents at Blueberry Hill, welcomed us wearing shorts and a faded t-shirt, sporting the word: “Smile.” We parked on the outskirts of the neighborhood, next to the common house, a shared facility where residents have community meals, gatherings, and access to things like games and movies. The homes were clustered, with kitchens facing out onto the neighborhood. And as Betsy gave us the tour across the pedestrian-only paths connecting the homes, we ducked in and out of the homes, and said hello to a few residents who were enjoying the summer afternoon on their wrap-around porches. When I spoke to Ann Zabaldo, former president of the Cohousing Association of the US, she pointed out these same architectural principles in her own community at Takoma Village Cohousing in the DC metropolitan area. These principles help increase the “incidental interplay that builds the bonds between communities”—neighbors you interact with because you run into them on the way to your car, or because you see them walk home from work. In turn, this connection facilitates the sharing economy that can mean everything from the ability to stay longer in your homes as you age, to readily available caregiving and babysitting resources for busy parents, or for Ann, a writer and wheelchair user, something as simple as the ability to have her neighbor pop by real quick to change a lightbulb she can’t reach. Ann’s lived in community most her life, and for all the challenges that come with living in community—or any human relationship, for that matter—she still loves it. “It’s Mardi Gras everyday,” she tells me, and laughs. What if I want to join an intentional community? 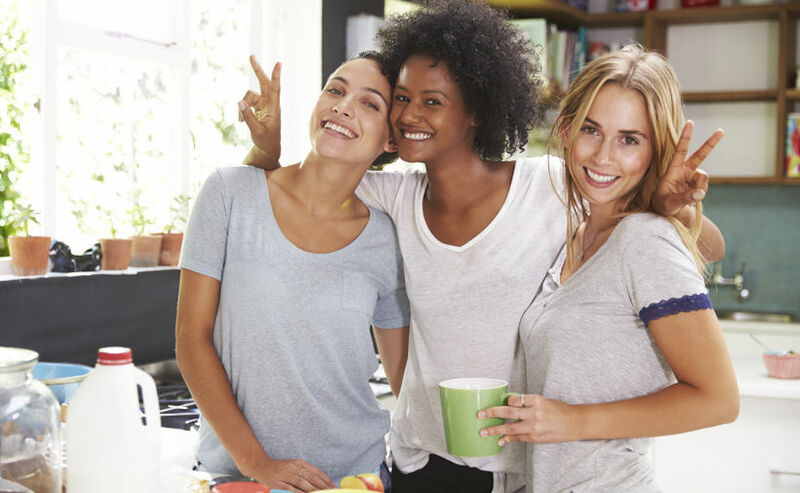 Here are some things to consider before you apply to live in an intentional community. Make sure you know what’s important to you. What do you care most about? How can living in community help enhance your personal goals? A great place to start is the Fellowship of Intentional Communities’ directory. What state do you want to live in? Do you want to live in a rural, urban, or suburban setting? How much independence do you want versus community? The FIC directory will give you everything from basic demographic information to community expectations and practices. Most places will strongly recommend this, as it will give you a feel for the place. Some places might even require a trial run period, to see if you are a good fit. Are you able to get along with people you don’t like? Do you cope well with change? Some people make the mistake of thinking that intentional communities come with a built-in best-friend network, and most of the time, that’s simply not the case. Choose an intentional community that serves you where you are in life right now, and not simply where you think you should be. Intentional communities aren’t for everyone, and that’s okay. Our lease is coming to an end and I’ve been slowly boxing up my room. My housemate broke down the square foot garden the other day, too, which made me sad. Living intentionally was wonderful in so many ways, but I’ll admit, it’s also no easier than living anywhere else. Over the past two years, I’ve learned what it looks like to be accountable for my beliefs on a day-to-day basis—and I have my intentional community to thank for that. Update, June 30, 2015: A previous version of this article stated that cohousing communities were similar to condominium associations, when in fact cohousing communities are legally and financially identical to condominum associations. The article has been updated to reflect this change. Ah-reum Han was born in South Korea, but bred on the sandy savannas of West Africa. She’s been to five different continents, but learned to keep her feet still long enough to get her B.A. in Creative Writing and Cross-cultural Sociology from Carson-Newman University and her M.F.A. in fiction from George Mason University.